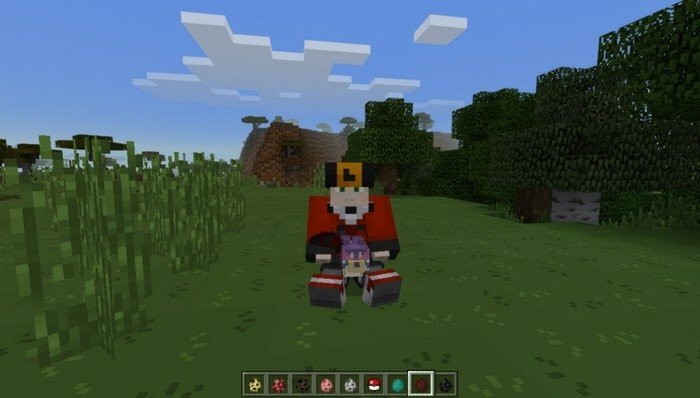 PokeAddon - transforms regular Minecraft PE world into a copy of Pokemon universe. 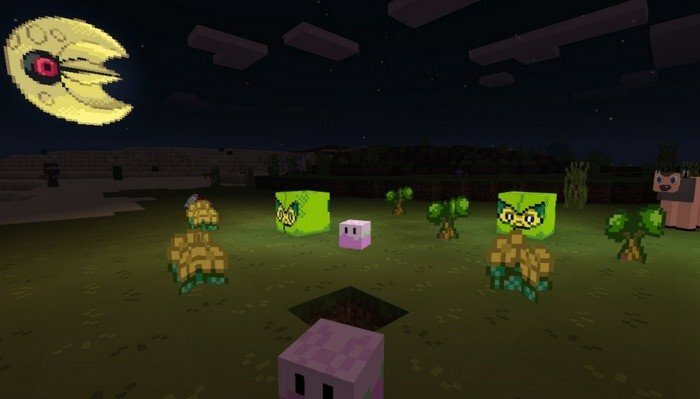 It makes mobs to look like pokemons and some of them can even be tamed. 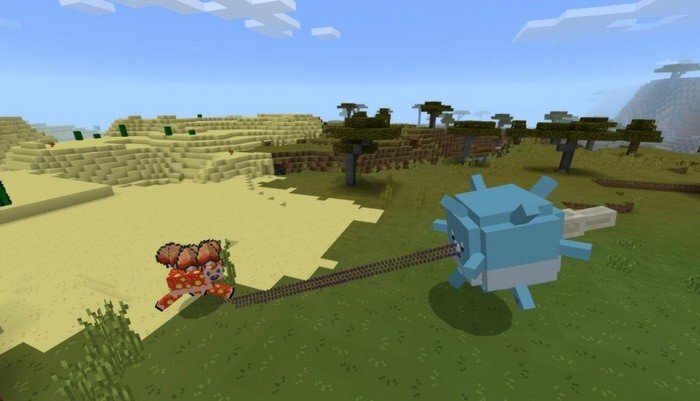 To tame a pokemon you will need to find a pokeballs - which is actually bones and will drop from nearly every mob. Then just take pokeball into your hand and make a long tap on creature you want to tame - until hearts appears. Tamed pokemon will protect you against your enemies and will follow you wherever you go. Another feature of this addon is that you can ride almost every mob in the game, the only downside is that you can't control it. You can also force your pokemon to fight against another one, just by hitting it with your hand.